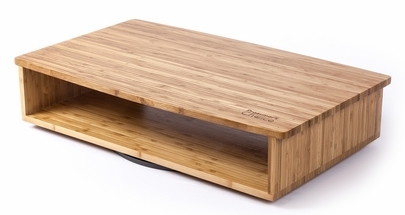 A VERSATILE TV/MONITOR STAND: This durable, eco-friendly bamboo TV stand and entertainment rack allows you to rotate flat screens HDTVs and computer monitors 360° and includes a shelf for DVD players, game consoles or other home entertainment devices. 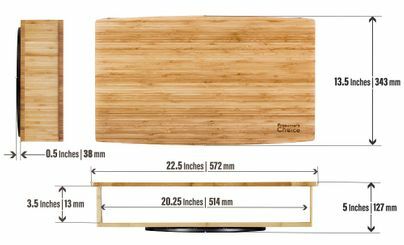 SMOOTH 360° ROTATION: TV shelf includes a 12-inch durable steel ball bearing swivel to rotate any small to midsize flat panel screens, TV or computer monitors with 360 degrees of rotation for the ideal viewing angle and to gain access to the back of the screen or monitor. 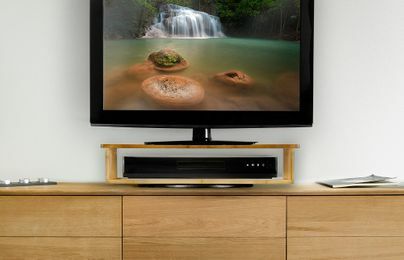 EASY TO ASSEMBLE: An excellent way to unclutter secondary computer stations or TVs in bedrooms and offices, this user friendly TV/DVD shelf is easy to assemble with no tools required. 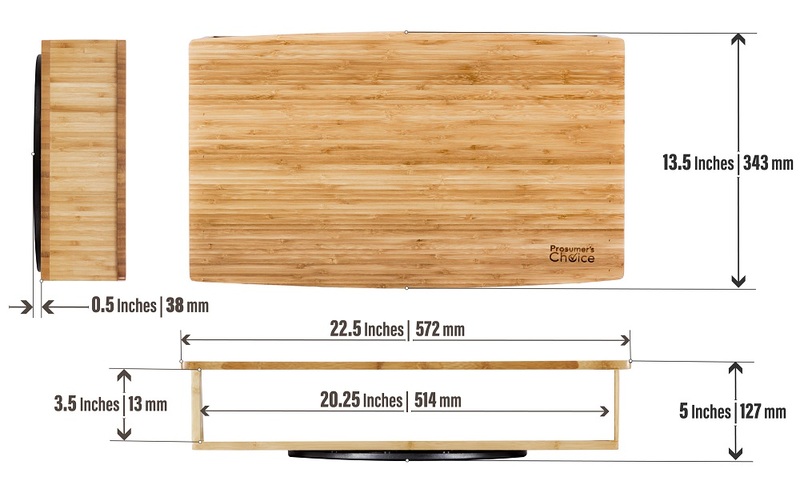 STURDY CONSTRUCTION: Made of sturdy bamboo with an attractive finish that blends easily into any room décor, an attractive and practical TV stand and shelf that keep screens steady and easy to maneuver. Prosumer's Choice rotating bamboo flat screen/monitor stand is a great way to organize entertainment systems and computer stations. This sturdy TV riser and swiveling stand includes an open shelf to hold Blu-ray players, Play Stations and X-boxes or cable boxes and assembles in minutes. 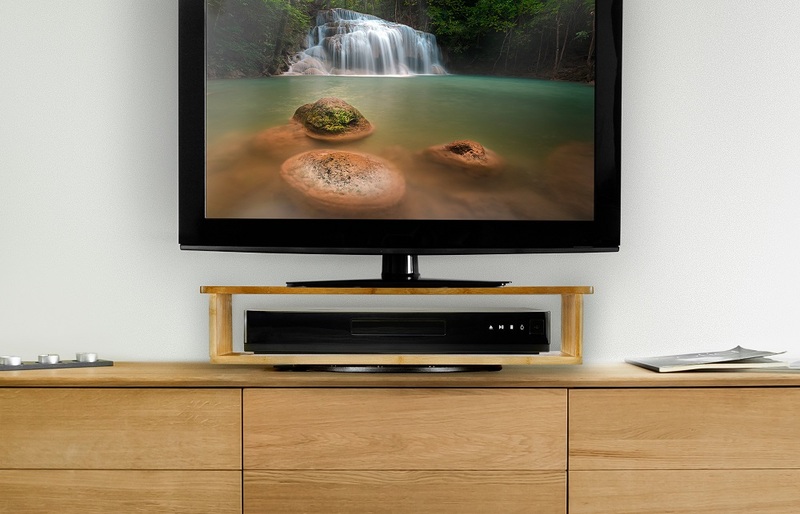 Made of sturdy and elegant bamboo as opposed to typical black press particle board, this TV/DVD stands keeps flat screens steady, and the sturdy steel ball bearing swivel provides a smooth 360-degree rotation with a simple touch. 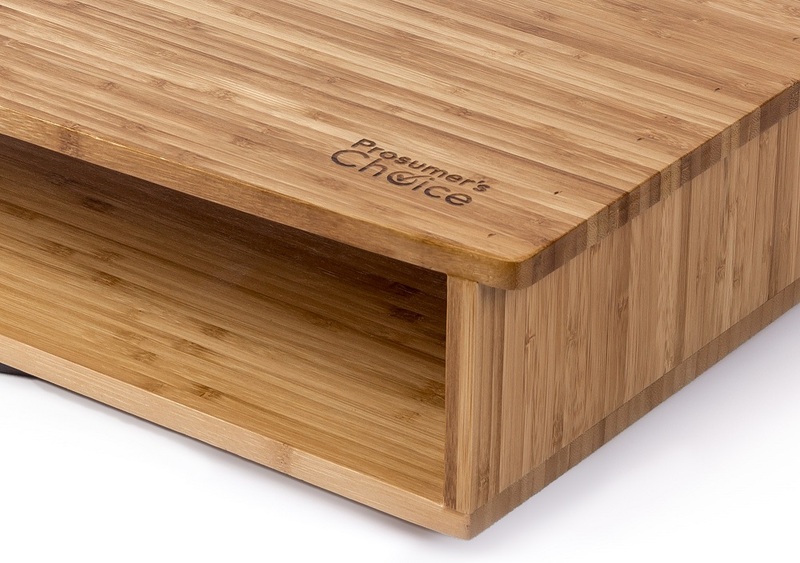 Prosumer's Choice swiveling TV stand is made from highly sustainable, organic bamboo and certified by the FSC® (Forest Stewardship Council) as 100% natural and harvested responsibly from plantations that support healthy eco systems. Bamboo is sturdy wood but not heavy or cumbersome and the attractive vertical grain finish blends nicely into room interiors. Enjoy your home entertainment even when you're not at an ideal viewing angle and gain easy access to the inputs in the back of your TV or monitor. The 12” durable steel ball bearing swivel rotates flat panel screens or computer monitors, and no tools are required for assembly. Place it on a credenza, desk or other hard surface to enjoy an organized and easily accessible entertainment station.